William Ahia for Mayor, 1919. 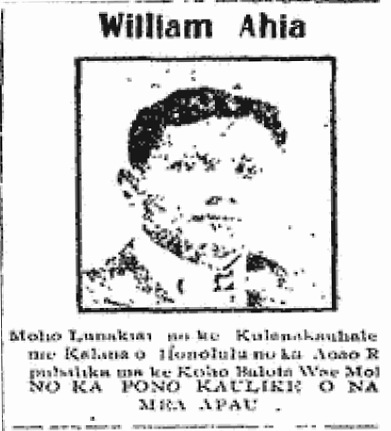 Vote for William Ahia, 1914. Republican Candidate for Supervisor [Lunakiai] of the City and County of Honolulu in the Primary Election [Koho Balota Wae Moho]. Ka Holomua, Buke I, Helu 49, Aoao 6. Sepatemaba 5, 1914.